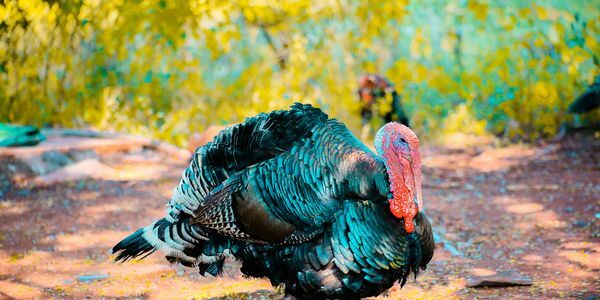 petition: Save A Turkey! Pledge to Have a Vegan Thanksgiving. Save A Turkey! Pledge to Have a Vegan Thanksgiving. This Thanksgiving, we all have an opportunity to make a difference. Instead of choosing to contribute to more cruelty, suffering, and environmental catastrophe, we could be choosing to live our best lives — by saving innocent lives. That's why I'm asking each one of you to pledge to celebrate Thanksgiving the compassionate way this year. Will you join me in having a *vegan* Thanksgiving? This year, over 245 million turkeys will suffer unspeakably every year before they land on your dinner plate. Their throats are cut, their beaks are chopped off, they are forced to eat their own feces, and many peck each other to death. But this year, we don't have to contribute to the massacre. Animals belong as our friends, companions, and freely-living creatures. They don't belong chopped up and gutted on our dinner tables. Save an animal, and save the planet. Have a happy vegan Thanksgiving, everyone! Please sign the petition to show that you're pledging to go vegan for this festive meal, too. Sign and SHARE so your friends and family can celebrate your compassion! If you're looking for recipes to try, here are a few great ones!